Hedgerows are a valuable component of Ireland’s cultural and natural heritage. Since early Christian times hedgerows have been used as cattle enclosures; by medieval times many hedgerows had been planted close to towns, creating townlands, which now are among the oldest hedgerows in the country. Old hedgerows made up of native trees and shrubs tend to have a greater value in terms of heritage and wildlife, having larger banks and ditches and being richer in floral species diversity. 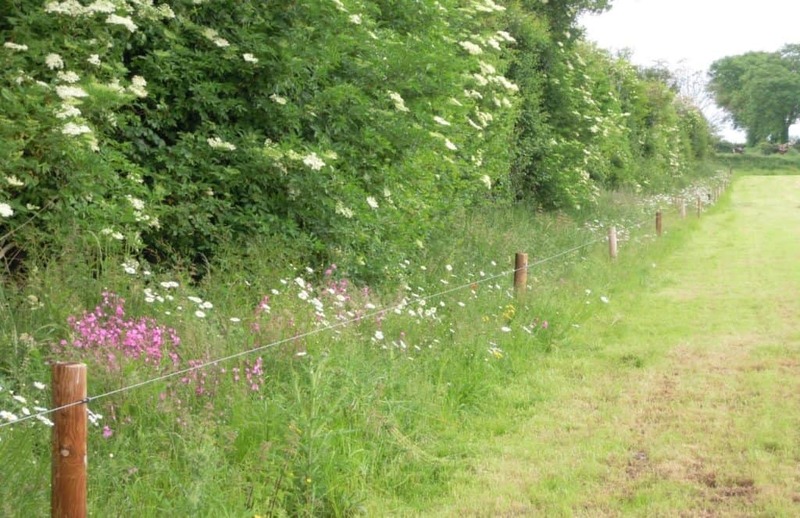 Hedgerows are an essential component in a range of ecosystems and provide valuable services to agricultural activities, such as habitats for pollinators, flora and fauna, prevention of soil erosion, interception of water flows and the sequestration of carbon. Hedgerows provide shelter to livestock and crops, as well as nesting and feeding opportunities for farmland birds. Appropriate management of these habitats is of benefit to both biodiversity and farmers. 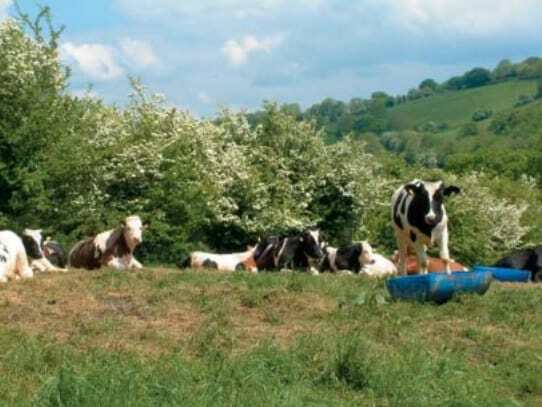 Under the Rural Development Programme 2014-2020, the Green Low-carbon Environmental Scheme (GLAS) included planting new hedgerows as an option for selection within the on farm GLAS plan. The GLAS scheme operated in three tranches, planting a new hedgerow was an option available in GLAS1 only. Planting hedgerows was very popular under GLAS1, it was suspended under GLAS 2 & 3 to encourage uptake of other environment options available. 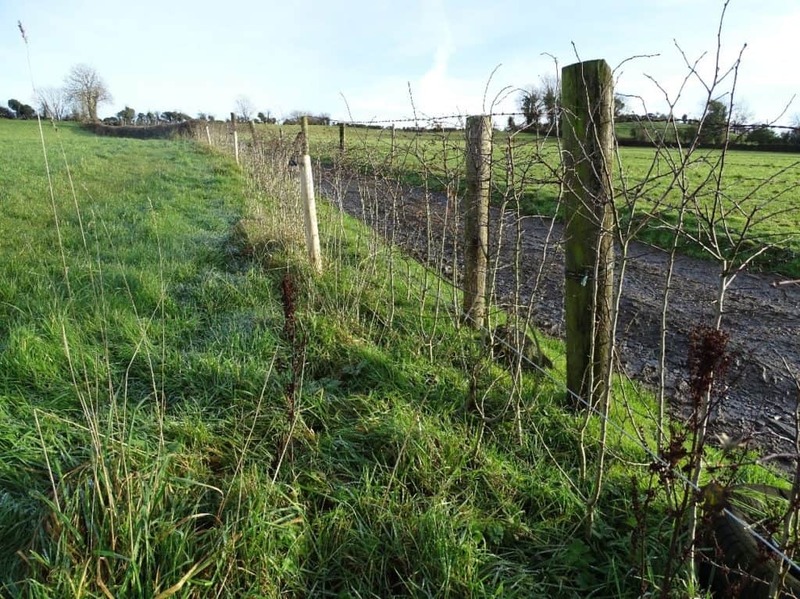 There are just under 49,119 active farmers participating in the GLAS scheme, almost 15% of these planted a new hedgerow as part of their GLAS plan. The minimum length of a new hedgerow that can be planted under the GLAS specifications is 10 meters. GLAS participants were paid €5/metre of new hedgerow planted for each year of the 5 years of the scheme, provided the hedgerow met the specifications set out in the terms and conditions of the scheme. 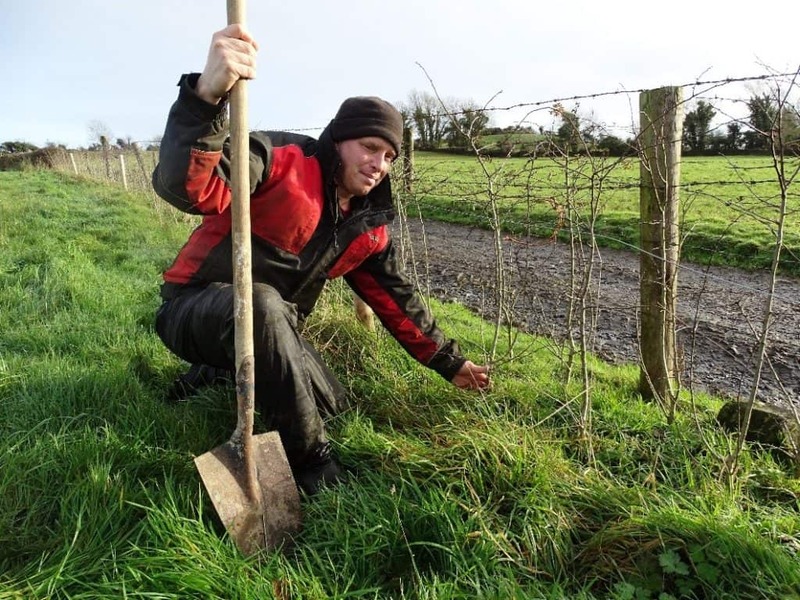 The National Rural Network (NRN) met with Vincent Smith, a Dairy Farmer from Co. Cavan in mid-December 2017, to investigate how he got on with planting his new hedgerow. Vincent was keen to exhibit the hard work completed while the planting his new hedgerow. Vincent planted a total of 220 metres of new Whitethorn hedges in various parts of his farm. The maximum length of hedgerow Vincent will receive payment on is 200 metres. Vincent will receive €5/metre/year for the duration of the GLAS scheme for completing this action. Vincent identified key areas for planting his new hedgerows, along cow paths, on the circumference of fields and on banks of drains located around the farm. Planting the hedges in line with the Green Low carbon Agri-environmental Scheme specifications meant that Vincent planted a total of 1,320 whitethorn whips, 6 whips/m. The public good that actions under GLAS like planting a new hedgerow, far outweigh the monetary value supplied to the farmer under any scheme. The majority of hedgerows in Ireland occur across farmlands, these farmland are managed and protected by our farmers. Farmers deserve huge recognition for the supply and maintenance of these public goods. The National Rural Network would like to thank Vincent Smith for kindly showing us around his farm. It must be said that the work completed by farmers is crucial for maintaining the visual aspect of Ireland’s countryside. For more information read the full case study on Irelands Hedgerows here.